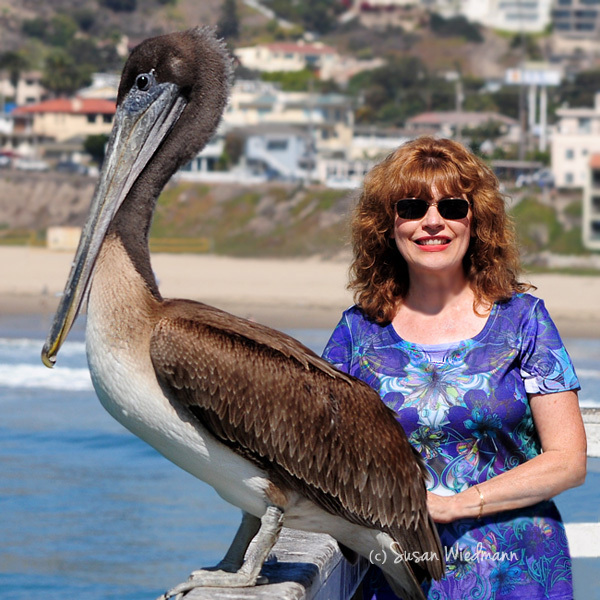 Welcome to Up Close With Mother Nature, the Web home of my Photo Art galleries that showcase my images of California’s stunning wildlife, dramatic seascapes and soothing landscapes. I specialize in outdoor photography and have also included miscellaneous outdoor subjects in a separate gallery. My images are available on dramatic lightweight metal, stretched canvas, acrylic, framed fine art papers, and other products. All come with a satisfaction guarantee. Please note the watermark you see on your screen will not appear on any item. All my images are © 2009-2019 Susan Wiedmann and, according to U.S. and international copyright laws, may NOT be reproduced or transmitted in any form without written permission from Susan Wiedmann. Along with an editorial background of writing for newspapers and magazines, my photography archives date back to the late 1980s. The images on this website include some of my 21st Century photography: dramatic Pacific seascapes; soothing California landscapes; close-ups of photogenic animals, land birds, and sea birds; close-ups of exotic flora; and a variety of outdoor miscellany. All images are © 2009-2019 Susan Wiedmann and, according to U.S. and international copyright laws, may NOT be reproduced or transmitted in any form, including for Web use, without written permission from Susan Wiedmann.